It's that time of year. The cherry blossoms spring to life, there are crowds of school kids on their first trips to Washington, DC, our Metro is full of tourists seeing the monuments or touring the museums - and Alaska Wilderness League greets our advocates for a week of lobbying and education. The city is full of people advocating, learning and experiencing all of Washington, DC. Our participants come from all across the country to advocate for our public wild lands and waters in Alaska - from small towns and big cities, from Alaska to Florida. We bring them here to share their love of Alaska's public lands with their members of Congress and to relay their experiences and opinions to their legislators. 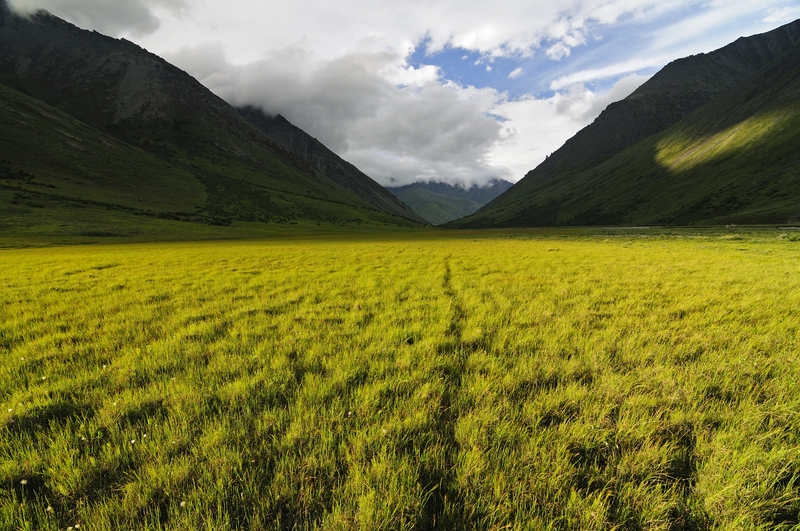 This year they are advocating for Wilderness protection for the Arctic National Wildlife Refuge's Coastal Plain - otherwise known as the Refuge's biological heart. This is the place where life begins, where hundreds of migratory birds are hatched, where polar bears den and where caribou give birth. Congress and President Obama have taken great steps towards protecting the Arctic Refuge over the past year, but it was only a start. In January 2015, President Obama announced that it was time to take the Arctic National Wildlife Refuge off the table to development. He recommended that Congress protect its sensitive Coastal Plain and other important areas as Wilderness. That same month, Representatives Jared Huffman (D-CA) and Michael Fitzpatrick (R-PA) introduced legislation to protect one of America's greatest treasures and a truly iconic place: the Arctic National Wildlife Refuge. H.R. 239, the Udall-Eisenhower Arctic Wilderness Act, would designate the Arctic National Wildlife Refuge's Coastal Plain as Wilderness. A few months later, U.S. Senators Michael Bennet (D-CO) and Ed Markey (D-MA) introduced a companion bill with the historic support of 34 senators. On February 26, the House of Representatives took a groundbreaking vote to protect the Arctic National Wildlife Refuge's Coastal Plain as Wilderness. Rep. Jared Huffman (D-CA) offered the House Arctic Refuge Wilderness bill as an amendment to the Sportsmen's Heritage and Recreational Enhancement (SHARE) Act of 2015, H.R. 2406 in an attempt to achieve something positive in a bad bill that contained a number of destructive provisions for wildlife, public lands, environmental laws and key conservation policies. The vote on the amendment - the first time Congress has ever voted on a Wilderness bill for the Arctic National Wildlife Refuge - was 176 yeas and 227 nays, with nine Republicans voting in support of Wilderness for the Refuge. Rep. Jared Huffman said, "The Arctic National Wildlife Refuge in northeastern Alaska is one of those uniquely American places, and we must do our due diligence to protect this one of a kind national treasure from the dangerous effects of drilling. By designating this area as wilderness, we can finally recognize the intrinsic value that this land holds. As Edward Abbey said, 'The idea of wilderness needs no defense, it only needs defenders.' I thank my colleagues who stood up today as defenders of wilderness and voted for my amendment." What's more, support for the Arctic Refuge is growing, including the voices of conservation and religious leaders, Native leaders, communities of color, outdoor enthusiasts, and veterans. These groups are joining from across the U.S. today to act on climate change, demand justice for Alaska Natives, and call on the federal government to establish the strongest possible protection for the Arctic Refuge. Together, we have an unprecedented opportunity to protect the Refuge, once and for all. Politics, science, and public opinion are all lining up in favor of protecting this irreplaceable wilderness. Yet, Congress has still not acted on President Obama's recommendation - the time is now to protect the Refuge. Thank you to Reps. Jared Huffman (D-CA) and Michael Fitzpatrick (R-PA), as well as, Sen. Michael Bennet (D-CO) and Sen. Ed Markey (D-MA) for championing this important legislation. We hope that Congress heeds your call and gets this over the finish line for good!